Jenzano knows that each Customer has different needs, and in order to meet those needs, we offer a wide variety of options, as well as custom configurations. 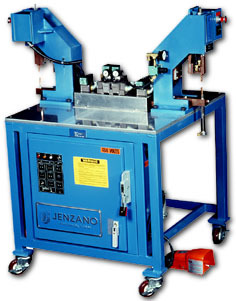 The Jenzano Single/Dual Head Spot and Projection Welder is available as a single or dual head machine. (Single head configuration may be upgraded to the dual head configuration as your needs change.) 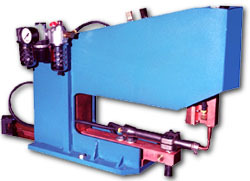 Applications include spot and projection resistance welding, hot upset forge and resistance brazing.